A Chinese artist has drawn 25 paintings during her one-month stay in Afghanistan through which she has tried to reflect Afghan women’s lives. The paintings went on display at an exhibition in Kabul on Friday. The artist, Mowen Li, said Afghan women have the potential to achieve what they want. She said by her paintings, she wants to change the Afghan society’s view regarding women and encourage them to respect women’s interests. “Since I come to Afghanistan and also Iran, I saw women face lots of issues. In this country, I have seen so many women rise issues which makesme feel if I can do something to help them, to support, to raise awareness. I want to use my paintings to change people’s mindset and help people to realize about women issues here,” she said. The artist says she was invited by Afghanistan’s ArtLords. “This artist feels the limitations imposed on Afghan women. 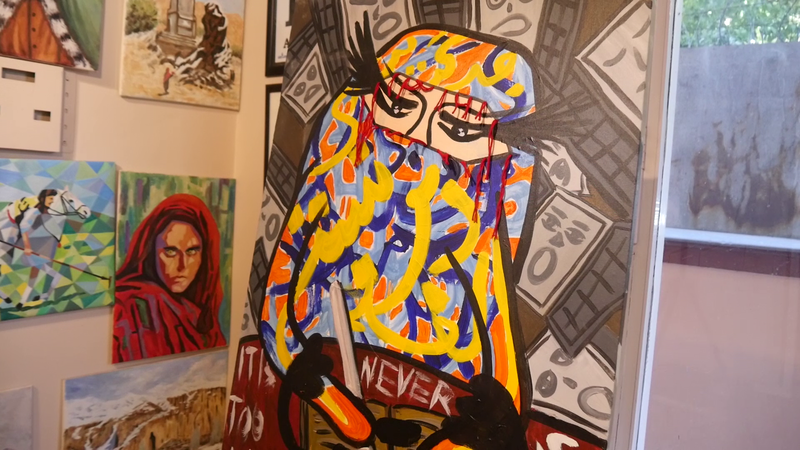 She has reflected those limitations in her paintings and by this exhibition she wants to send a message to the people to give more freedom and respect to women,” Omid Sharifi, founder of the ArtLords, said. “This exhibition has one positive message: Men should know that women have all the rights like men,” said Elyas Olfat, a visitor. In one of her paintings, Mowen has drawn a woman wearing a burqa as a mandatory coating. “I hope the situation of women in Afghanistan will improve so that when foreign artists visit the country next time, they will find better subjects to reflect,” Massoud Hussaini, a photographer, said. 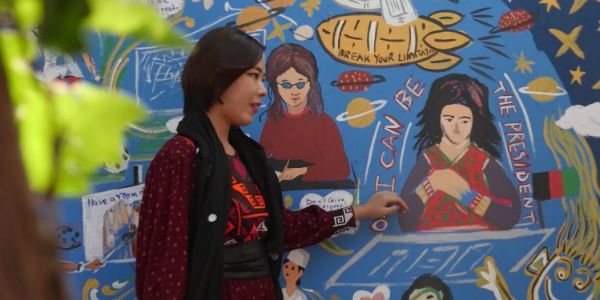 The Chinese artist says she tries to help Afghan women to believe in themselves and make efforts for achieving their dreams.